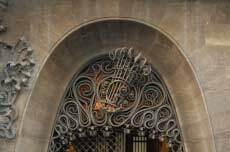 There is almost no other architectural style - apart from Gothic - that has influenced the face of Barcelona as much as the Modernisme - the Catalan art nouveau. The epoch of Modernisme left the city with a unique cultural heritage. This is proven by the fact that no other city has as many buildings on the UNESCO World Heritage List as Barcelona. 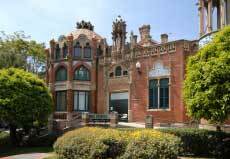 The list for Barcelona contains nine entries, and all of them are works from the Modernisme. During the 19th century, Barcelona had a large and growing number of wealthy upper class people. A booming industry and growing wealth in Barcelona lent the population a new self esteem, the upper class felt financially strong in a politically stable environment. The rest of Spain, however, fell into a serious economic and mental depression caused by the loss of the colonies Cuba, Puerto Rico and the Philippines. These were the ideal conditions for a growing national pride of the Catalans: Itwas the beginning of the Renaixança, the revival of Catalan traditions and the national culture. In such an environment, it was almost inevitable that the rich upper class used their interests and means to promote the Renaixança. They explicitly favored Catalan artists and, most of all, architects who invented their own style and thus became wealthy and popular. The concept of patronage was also reinforced by the fact that you could quickly surpass the reputation of the nobility with large and impressive buildings. The spatial conditions were also ideal. On the so-far empty grounds north of the old town, the city district Eixample was built to make room for the growing population. The best known patron was undoubtedly the industrial Eusebi Güell (1846–1918). In 1878, Güell discovered the artist Antoni Gaudí. They were from then on always linked by a mutual friendship and economic interests. Güell assigned many projects to his protegé. Famous works include the city palace Palau Güell, the Parc Güell that was originally planned as a garden settlement, and the Coloni Güell of which only the crypt was finished though. Both men shared a profound religiosity. With the political and economic background, the Modernisme was an expression of Catalonia’s strive for independence. This is a contrast to the art nouveau in other parts of Europe which was rather an expression of the Zeitgeist at the time. In 1878, the politician, physician, artist, writer and architect Lluís Domenèch i Montaner published the article En busca de una arquitectura nacional (In search of a national architecture) in the magazine La Renaixança. In this article he outlined his theories of an independent Catalan architecture. 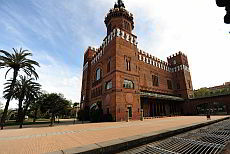 Apart from the inauguration of the first Modernisme building – the café for the World's Fair in 1888 by Domènech i Montaner – this date is also considered as the beginning of the Modernisme. At the World Exhibition in 1888, his theories were put into practice when he designed the café. The early works of Modernisme were dominated by clear lines. 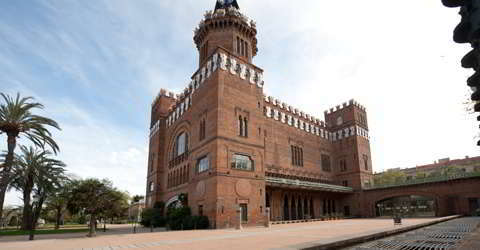 The building Castell dels tres dragons (Castle of the three dragons) now houses the zoological museum. The success of the World Exhibitionand the attention paid to the new building constituted the breakthrough of the Modernisme. The construction of buildings in the new modernist style was not only a question of prestige but also an indicator of the Catalan patriotism of the patron. The vast extent and the extensive construction activities in the new city part were the ideal “playground” for the modernist architects to live their fantasies. Today, there are still more than 2,000 buildings that can be attributed to the Modernisme or that contain modernist elements. The Modernisme met its first resistance in 1906. 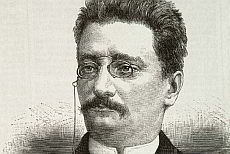 In his comments, the journalist and art critic Eugeni d'Ors started arguing against the Modernisme and for a new style, the Noucentisme (roughly translated “movement of the new (20th) century”). 1910 saw the starting decline of the Modernisme. Due to the patronage by the upper class - and certainly due to the bourgeois behavior of some artists - the Modernisme got the reputation of lavishness and decadence, an image change to which Eugeni d'Ors most certainly contributed with his comments. From then on, modernist buildings were perceived by many as “bad taste”. Instead of the extravagant forms of modernist façades, the Noucentisme preferred straight lines and more functional forms. Some artist of the Modernisme who had always preferred clearer forms had less problems adjusting to the new zeitgeist, such as the architect Josep Puig i Cadafalch. Others disappeared from the scene and sunk into insignificance. 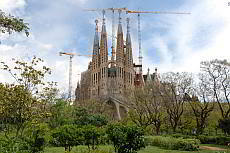 From 1912 until his death, Antoni Gaudí spent all his time exclusively working on “his” church, the Sagrada Familia. Today, we would like to see more of those organic forms instead of austere functional buildings. The architecture of the Modernisme is mainly coined by three ingenious architects: Lluís Domènech i Montaner who was the basic founder of the Modernisme, Josep Puig i Cadafalch and the most ingenious of them: Antoni Gaudí. Domènech i Montaner (1850-1923) often used Moorish elements in his constructions (Casa dels tres dragons, Hospital de Santa Creu i de Sant Pau). The works of Josep Puig i Cadafalch (Casa Amatller, next to Gaudí's Casa Battló, and the Casarramona which today houses the CaixaForum) can be recognized by their clear and simple lines. He was the modernist artist who could best adjust to the epoch of Noucentisme which broke with the playful forms of the Modernisme. 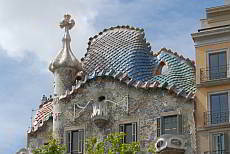 Antoni Gaudí, who played a special role in the Modernisme due to his creativity and genious, preferred organic forms inspired by nature (Casa Milà, Casa Batlló, Parc Güell). The works of the Modernisme should always be viewed in the context of a nationalist attitude that stressed the independence of Catalonia. This is why the works contain countless hints and symbols of Catalan identity. Many historic forms and motives of Catalan folk art can be found in and on buildings of modernist patrons. Some examples are the usage of the Catalan coat of arms or the depiction of the Catalan patron Saint Jordi (George) and the legend of George which can be found in many works by Gaudí. One important characteristic is the combination of forms and colors with materials and construction methods. 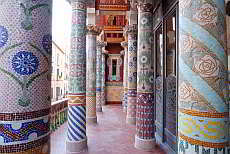 The buildings of Domènech i Montaner contain many ceramic works on the façades. 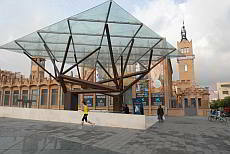 He worked a lot with forms made of steel and glass in combination with specifically Moorish elements. Also, the traditional crafts were driven to perfection in the Modernisme, e.g. the brick construction or the decorative ironwork. The works of Gaudí play a special role. He went beyond the boundaries of modernism. His works are dominated by organic forms. His techniques for the deduction of statically optimized structures were as revolutionary and ingenious as they were simple. He used ropes to connect pillars and then inversed the arch form resulting from the hanging rope to obtain an organic form for e.g. a portal arch. In the museum of the Sagrada Familia, you can see such a model by which he deduced the static of the church. The visual artists had some difficulty defining their own style in the Modernisme. They never achieved the world fame and genius of the three important Catalan architects. The architects were given every freedom to live their creativity. For paintings, on the other side, conservative works were preferred for a long time. Even when in the art metropolis Paris impressionism had managed its breakthrough, the galleries still showed realistic landscape paintings. The painters Monet, Renoir, Manet and Pisarro had only mediocre success at the World Exhibition. Among the most significant painters were Ramón Casas (1861-1932) and Santiago Rusiñol (1861-1931). Both of them came - typically for the Modernisme - from upper class families and had spent some time in Paris from where they brought the impressionism to Barcelona. It was no longer the detailed and realistic depiction of a landscape on the canvas that was important. Works of both artists are on display at the Museu National d'Art de Catalunya (MNAC). At the Museu del Cau Ferrat in Sitges, a special focus has been put on the paintings of the Modernisme. 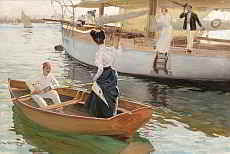 Here you can find works of Casas, Rusiñol and others. At the opera Liceu and the monastery of Montserrat you can also find works of Casas. Especially Rusiñol who is considered as a kind of leader of the modernist artists has been discredited by the followers of the Noucentisme, particularly by Eugeni d'Or. You cannot describe the art world of the Modernisme without mentioning the café Els Quatre Gats. It reopened in 1978 as a restaurant and still maintains its original atmosphere. “Els Quatre Gats” means “the four cats”, which is a Catalan manner of speaking to describe people who are a bit “weird”, the outsiders. The café Els Quatre Gats was opened in 1897 by the four artists Miguel Utrillo, Pere Romeu, Ramón Casas and Santiago Rusiñol. The four friends organised exhibitions and concerts at the café. Picasso had his first exhibition at the Els Quatre Gats. It soon became a meeting place for the who's who of the Modernisme. This circle of artists founded the art magazine of the same name, illustrated by the artists, in which they – as they were often also active as writers – published their opinions. The building itself is an early work of Puig i Cadafalch. Today, the walls are decorated with reproductions of the founders. You can enjoy good food here or just have a drink at the bar. Starting in 1912, the architect Gaudí spent all his time working on the Sagrada Familia. The Palau de la Música Catalana which is inlisted as a UNESCO World Heritage is an impressive concert hall. The building is an example of the vast splendor of the Modernisme. Architect: Domènech i Montaner. You will not find one square angle on this building. It is one of the most beautiful and important buildings of the Modernisme. Do not forget to take a look at the roof. Architect: Antoni Gaudí. The roof of the house is a materialization of the legend of St. George. Jordi is the Catalan patron saint. 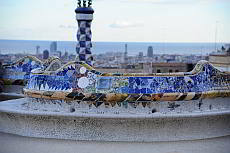 It was typical of Gaudí to express the Catalan national pride in such way. As a tourist you like to take a look at the Hospital de Santa Creu i de Sant Pau. The hospital was built to help the sick recover in a pleasant atmosphere. The pavilions of the hospital count among the Modernisme's most important and beautiful buildings and are on the list of the UNESCO World Heritage. The Museu del Modernisme Català is - according to their own statements - the only museum that dedicates itself completely and only to the catalan art nuveau. The art nuveau is presented by 350 pieces of artwork from 42 artists. On the park grounds you will find plenty of modernist elements: buildings, in Gaudí's house even the furniture is designed by himself, and a beautiful pleasure ground. A friendly dragon decorated with broken tiles welcomes you. This building in the Parc de la Ciutadella was inaugurated for the World Exhibition of 1888 and today contains the zoological museum. Architect: Domènech i Montaner. The city palace of the industrial Eusebi Güell is one of the first works by the architect Antoni Gaudí and one of the masterpieces of the Modernisme. The Palau Güell is just a few steps away from the Rambla. The former textile factory which today houses the CaixaForum was designed by Puig i Cadafalch and inaugurated in 1913. It is one of the most important industrial buildings of the Modernisme. Lluís Domènech i Montancer (1849-1923) was one of the most important architects of the Catalan art nouveau. He was also famous and respected as writer and politician. He was inspired especially by Moorish architecture. 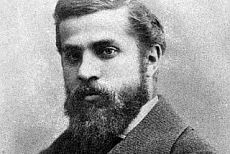 Antoni Gaudí, architect and designer, managed to immortalize his technical solutions in the Catalan architecture by his audacity. He understood how to include brilliant plastic decorations into his buildings. Although Antoni Gaudí seems to be an almost omnipresent representative or the modernism, he still wasn't the only one who characterized the modernism. The founder of the modernisme was inspired mainly from the Moors. Strict and clear forms are his features. He also characterized the noucentisme after the modernism. Famous painter of the modernism. You can see his artwork for example in the MNAC. The modernism didn't limit to just architecture, but also characterized the painting and the interior design. At Museu del Modernisme Català you will get a comprehensive overview of the artwork of the modernism artists and the interior designers. You can see a faithful apartment from the era of the modernism. You will see the life and doings from a creative time. The hospital is an eveidence that the modernism wasn\\'t just only for the bourgeoisie. 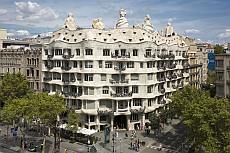 Let us show you special places of the catalonian art nouveau during this tour.